The Lea and Isa BFF Fanclub! "I know I won't forget you"
1. Because they're absolutely adorable. 2. Because they're funny and sweet. 3. 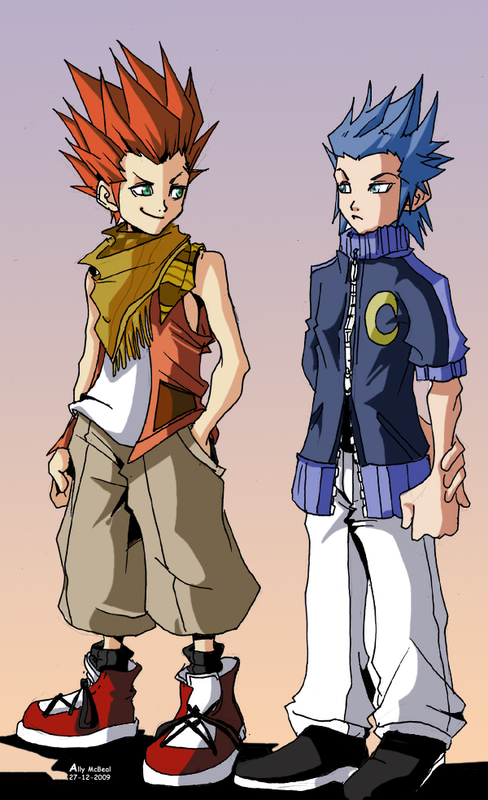 Because they're simple, albeit somewhat mischievous boys who only wanted to live. 4. Because their fate and the deterioration of the friendship between Axel and Saix is heartbreaking. 5. Because even though we only see them for a few minutes, they still display such a great dynamic. I'll definitely join! I love these boys. Plus, like I said in the A/R FC, I can't help but imagine their final moments together as the heartless are attacking, and it's just so sad! I love how they feed off each other. 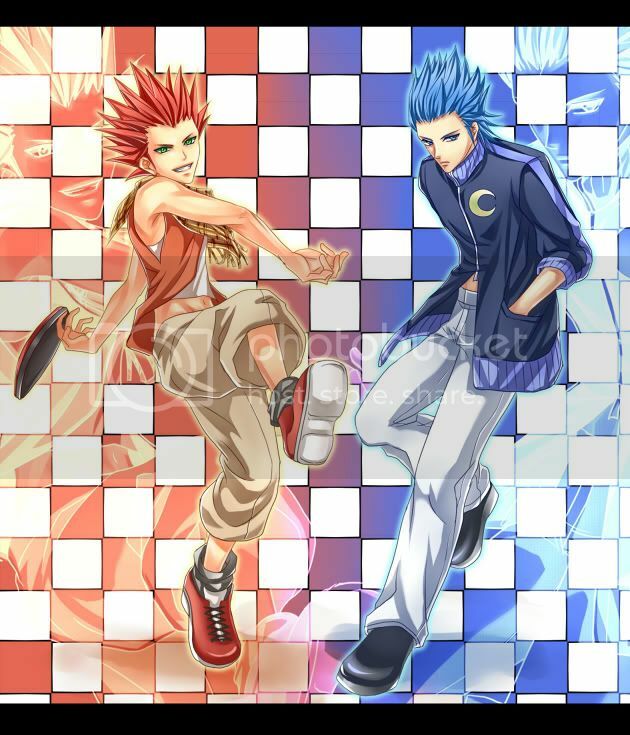 The Red Oni and Blue Oni duo. They do make such a good pair, don't they? I wish we could see more of their dynamic together. They really are so adorable and the one element that made Days worth playing. I am going to write a fic about them, and their sad final moments. It will be romantic in nature. And Lea is an FTM transexual. Me too! I support their wonderful BFF-ness in all its BFF glory!!! Also, I think Ven should be an honorary member. He IS the stray puppy that they take in, after all! Joinage! I adore these two. Fanservice that it was it was cute fanservice. Plus oh so tragic in hindsight. Heyy, I've never read anything you've written before! (you know, that's not a parody ><) This should be veryyyy interesting. SO tragic. Seeing the two of them together, all happy and carefree and best friends forever and knowing that soon they would lose their hearts and their friendship would be decimated...ugh. Broke my heart. Oops! Sorry, yeah, you ninja'd me. 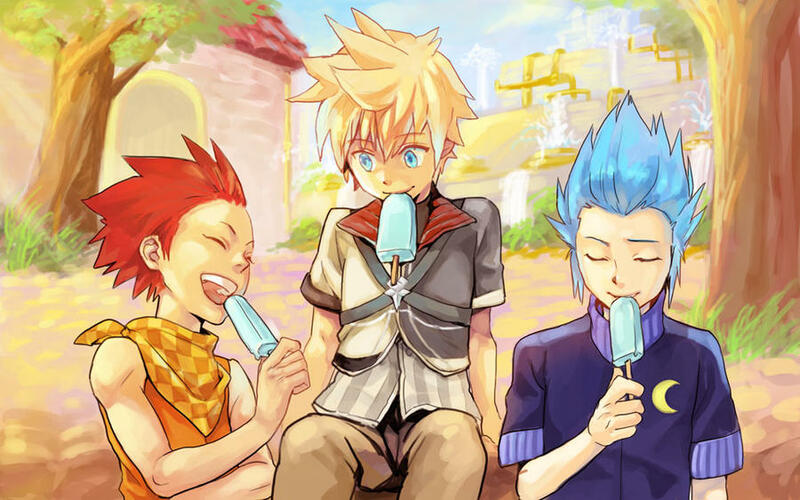 I was busy being blinded by the abundant shoving of Ven's obsession with Terra in my face. Oh totally agree that there was a total OD of Ven's obsession with Terra. But yeah, their scene totally made up for it. Even if it was fanservice, it was very nicely done and they managed to fit it in well without overdoing it.